I'm slacking, I know. I'm having to be a responsible adult and all and it cuts into my fuckery time. I'm just as annoyed about this as you are. However, I was able to entertain myself with some feline-related antics. 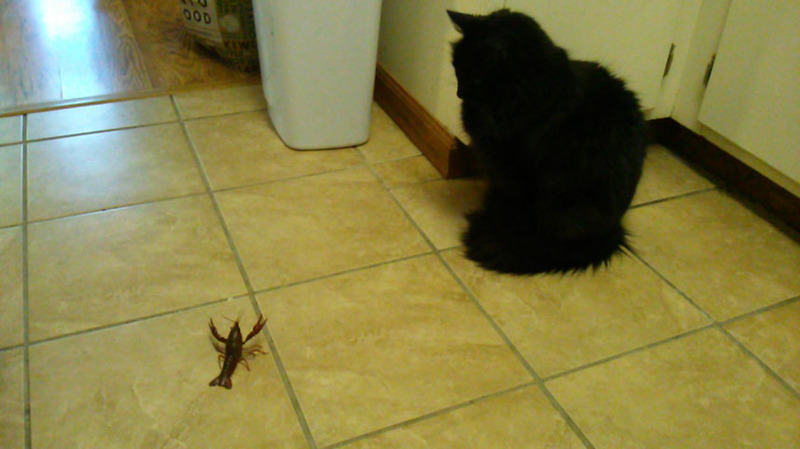 The grocery store was selling live crawfish and I decided I needed one to bring home to befuddle the cats. They made me buy a whole pound and in retrospect, I should have taken advantage of that a bit more. "Is it food? A toy? This hurts my feline brain!" Lily enjoyed flipping it on its back, then walking away as the crawfish flailed helplessly. 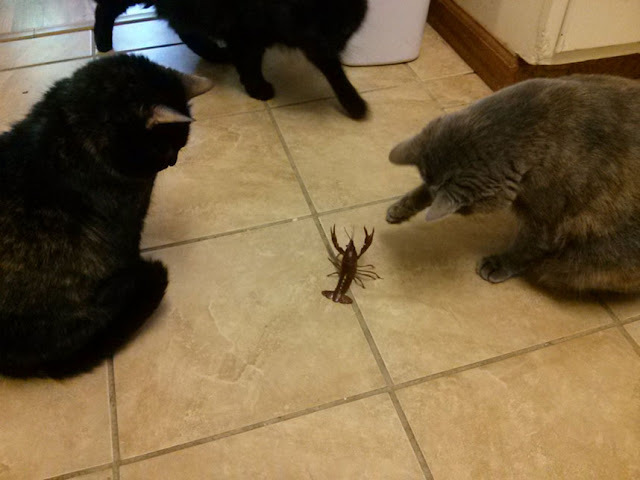 "BOW BEFORE ME, WORTHLESS FELINE, FOR I AM THE CRAWFISH GOD!!" Thanks to Michaela Grey for the perfect caption. A Thrift Store Without Clowns?